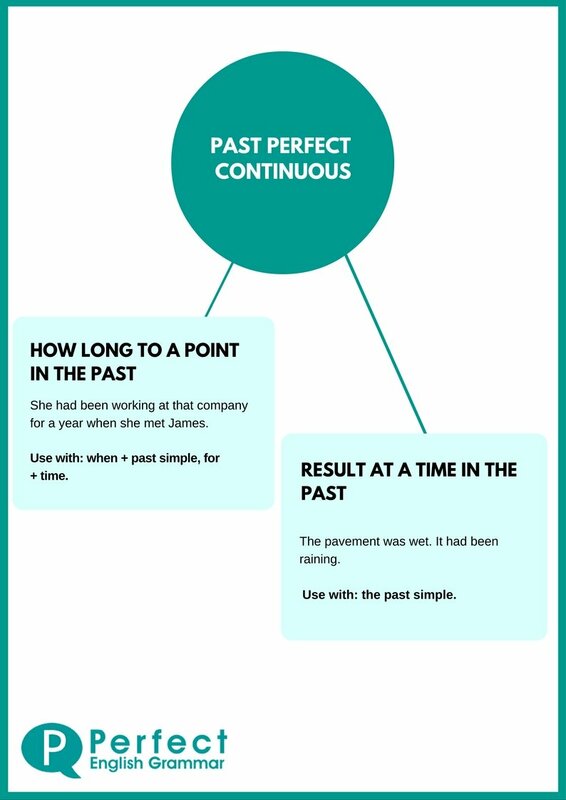 The Past Perfect Continuous Tense - When should we use it? When should I use the Past Perfect Continuous? Read about how to make the past perfect here. She had been working at that company for a year when she met James. I'd been walking for hours when I finally found the house. We'd been living in Berlin for three months when we had to leave. 2: Something that finished just before another event in the past. This is usually used to show a result at a time in the past. It's very similar to the present perfect continuous, but the action finishes before another time in the past, rather than finishing before the present. The children had been playing and so the room was a mess! I'd been working before I saw you and that's why I was really tired. Try some exercises about the past perfect continuous here.